Hair up, I'm driving home at the end of the day. There is a traffic jam. Sigh. I hit the brakes, change gears, look around for a bit and lean back... OUCH! Darn hairclip goes right through my scalp. Brain, it feels like. Happened to you? I have lost count of the number of times in one DAY that I flinch, when this happens. It happened to entrepreneur Lindsey Walker and fashion lawyer and columnist Shelley-Anne Salisbury when both were at a party. They found themselves trying to pin their hair back at the same time, using the traditional butterfly or claw clip, which, Lindsey tells me hasn't changed in design since 1989! Mutual rants turned into a mutual decision to come up with a less painful hair clip - it was, as Lindsey calls it, a "eureka moment". And thus, the Linziclip was born. 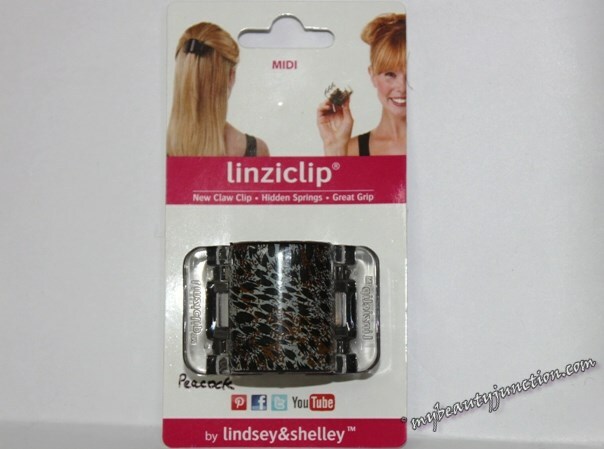 Read on for more about the Linziclip, including making, review, hairdos, sizes, and celebrities who love it! The combined forces of Lindsey and Shelley led to the birth of the Linshell Group, which produces the Linziclips. But the clip was not built in a day. They wanted to hide the springs - I can appreciate this fully, as I keep getting my hair caught in the butterfly clip's springs a few times each day. So the clip had to have two springs and four parts, AND be flat, so you could lean back without the plastic digging into the back of the head. It also had to hold the hair in place. They made samples out of a toilet roll, when they cut the roll in half, slid the sections together and sprayed silver paint, for aesthetic appeal. The duo were first told it was impossible to build the clip, because of the very dynamics of the concept! Through trial and error, they found that the measurements had to be precise - a millimetre longer, wider, thinner or thicker, and the clip would simply not open or close. That difficulty overcome, the next hurdle was funding. They received a combined grant from the Department of Trade and Industry, UK, and their bank. It was time to manufacture. But the question was where! The ladies turned to Google search and found a factory in India! It was based in Mumbai, the country's commercial capital. Wanting to see things in person, Lindsey and Shelley found themselves on a plane, on their first visit to India. And, anyone who visits India for the first time can tell you what an overwhelming experience that can be! Lindsey remembers spotting vibrant colours and saris everywhere despite the rush from their hotel to the factory. At the factory, the owner was unused to women entrepreneurs and demanded to see the male bosses, Mr Walker and Mr Salisbury! It took nine months for the complex moulds to be developed, during which time Lindsey and Shelley paid several visits to India. The clips are now entirely handmade, except for the moulding, in India. Linziclip-backs on the assembly line, India. It took three or four years from that fateful meeting for the Linziclip to hit the market. A US-based distributor was the first to pick up on the Linziclip. Today, the clip is sold in more than 18 countries and is patented in more than 50 countries. 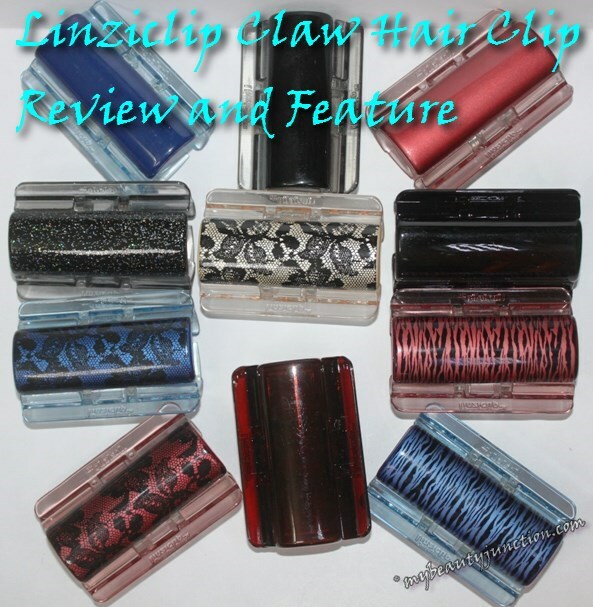 Considered the hair and beauty industry's best-kept secret, several retailers and stylists believe Linziclips will completely replace the traditional claw clips one day. Now that you have the background, what IS the Linziclip? 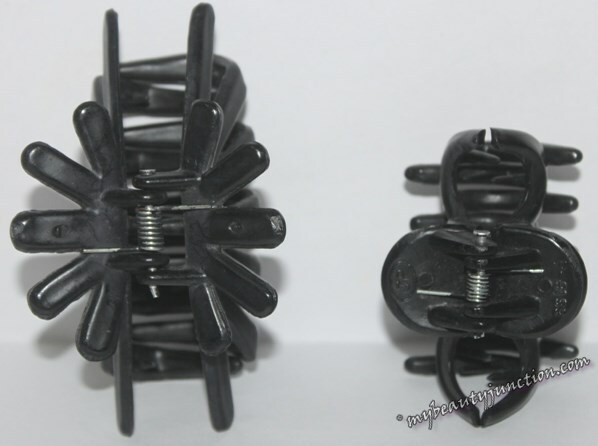 It is a new kind of claw clip or butterfly clip which differs from the traditional claw/butterfly holders in a number of ways. For one, the springs are hidden. For another, there are two springs. Thirdly, there is no plastic sticking out and the "wings" lie flat. Which means you can get attractive designs. Hair does not get caught in the springs or screws as they are both tucked away. The grip is a lot more secure and hair is not going to slip, believe me. 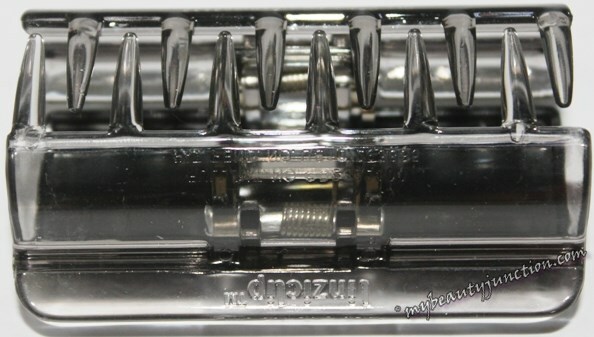 Also, the Linziclip is cylindrical, which means the "teeth" can be pushed apart further and there will be no kinks or marks in the hair after removing the clip. You can lean back comfortably and not howl in pain. 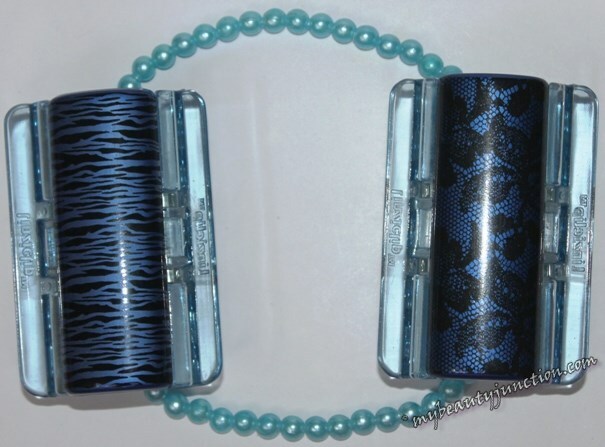 Before I talk about the different kinds of Linziclips, I'll show you a couple of comparison photos featuring the Linziclip side-by-side with some of the traditional butterfly clips I owned (I have since got rid of them happily). Here are two minis. 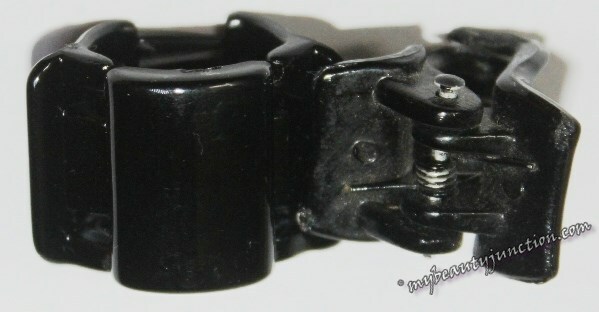 The Linziclip is on the left, while the traditional butterfly clip is on the right. See how that screw sticks out, while the Linziclip has two hidden screws? Now take a look at the "backs" of the clips - the visible portions. 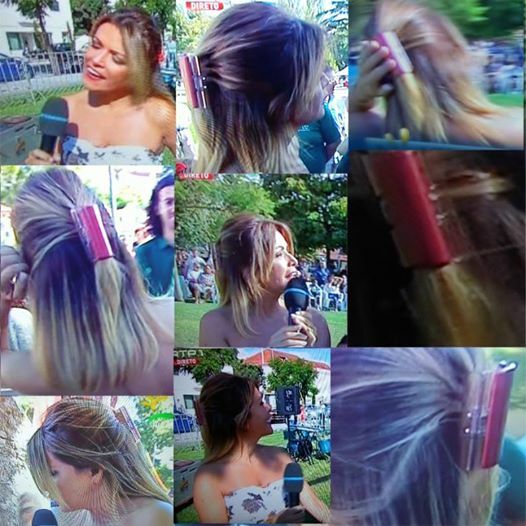 See how uggerly the traditional clip is? Why are these still in existence? 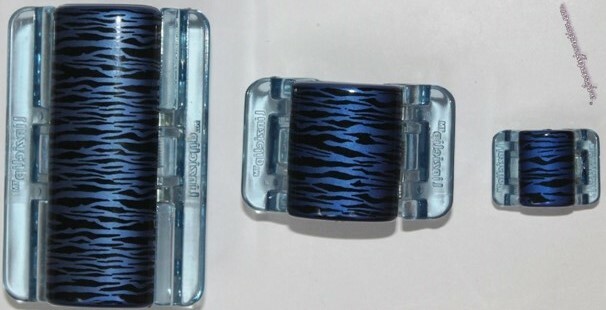 Now check out some different designs and sizes of the traditional clip. The Linziclip has less fearsome, but more secure claws. Also, there is no way the screw or spring will come into contact with the hair, which is my biggest problem with the traditional clips - I have lost quite a bit of hair that way. 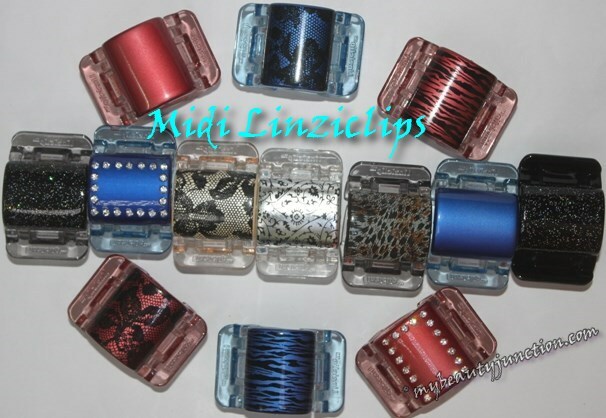 Linziclips come in three sizes - Maxi, which is largest (duh), Midi, and Mini. The Midi version is the most popular. Lindsey tells me that the Midi version is ideal for medium to thicker hair, though most people erroneously believe the largest is for thicker hair while the medium version will suit finer hair. Having tried all three, I agree! Check out a size comparison below. 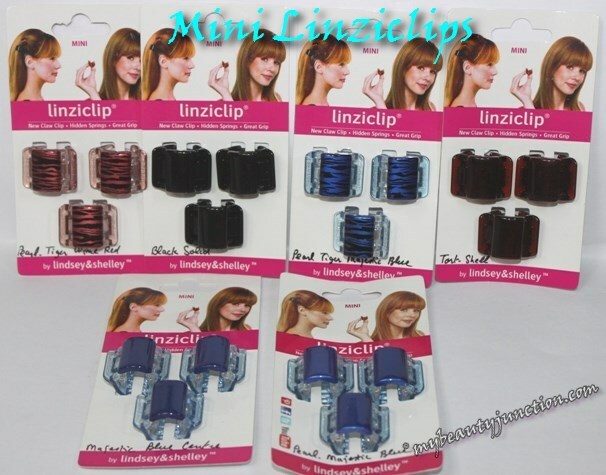 Here are some of the Mini Linziclips. I love that each clip comes attached to an info card. As you might have guessed, I prefer darker, sombre shades over pastels or summery brights! You get some usage ideas from the info card. Midi Linziclips are the ones I use the most - for my favourite half-up, half-down high ponytail style, which I will show you in another post soon. 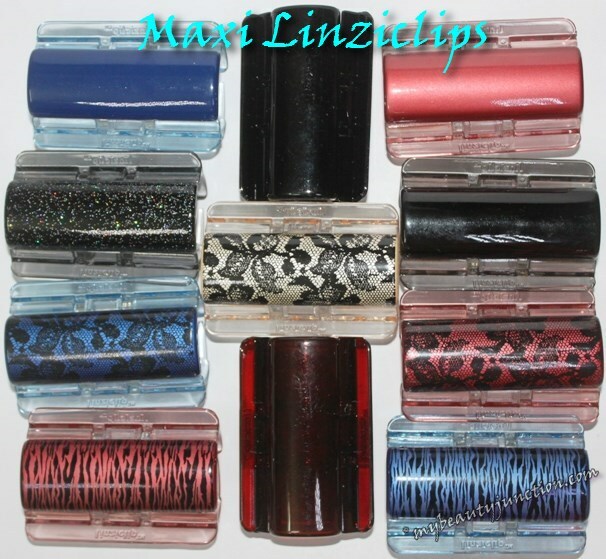 I have a stash of Maxi-sized Linziclips in my car, desk and on the straps of my handbags, because they are great when you want to twist up your hair quickly and get it out of the way. Miley Cyrus - you can actually spot her Black Midi clip in The Last Song. British girl band Girls Can't Catch love the diamante versions. 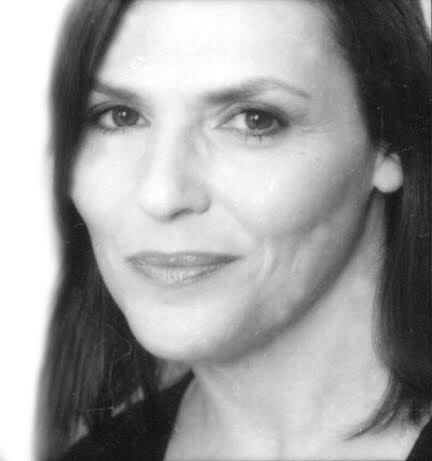 British actress and presenter Lisa Snowden. Lindsey Coulson, playing Carol on BBC soap Eastenders. She wore it regularly on Eastenders until she lost her hair to cancer. 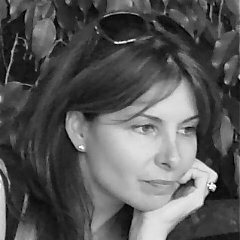 Portuguese TV persenter Isabel Angelino - check out her photos on telly wearing the clip. 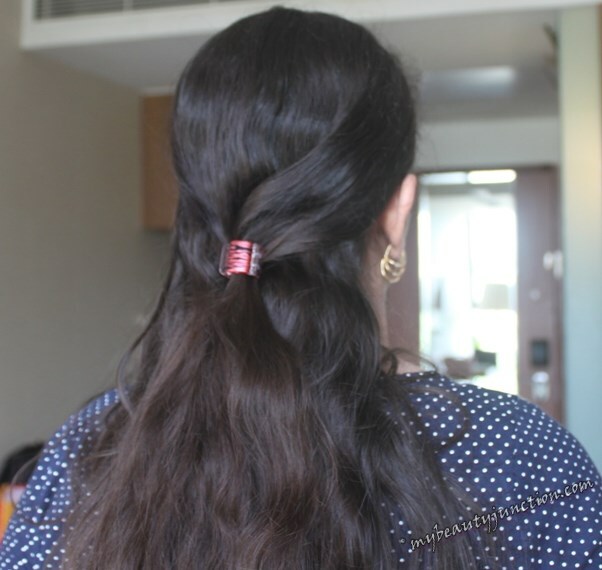 Despite her using a Maxi clip on a section of her hair, it has not slipped! 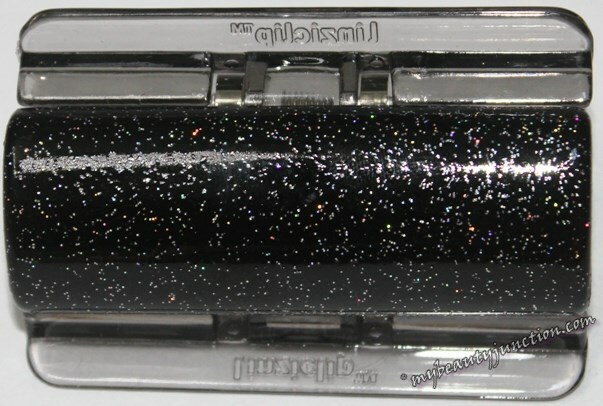 Apart from conservative black and tortoiseshell, both of which are perfect for work, the Linziclip comes in a variety of designs and finishes, ranging from metallic to glitter and diamante. You can wear these clips on casual occasions and sporting events as well as evenings out or even to weddings - there are designs that will suit even brides! Designs I received include lace and animal print. There are Spring/Summer and Autumn/Winter collections - you can check out more on their website as well as on online retailers such as this one, and here. I also found some not-seen-elsewhere designs here - do check these out. Linziclip also has a dedicated set of pink clips to mark October as Breast Cancer Awareness Month (photos are at the bottom of the post). 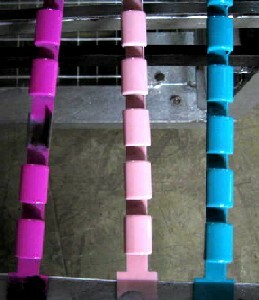 The colours include regular pink, bubblegum pink and baby pink, with and without pretty patterns. Check out Linziclip's Facebook page here to see more designs and to interact with them. Apart from the subtle ones, these are blingy enough to be worn to a party or special occasion - check out this lace stunner - ideal for a bride. This black sparkler is good for a night out. You can match these diamante clips to your outfit or bag. My personal favourite design is this peacock pattern. Sombre enough and work-appropriate, but not boring. Take a closer look at some of the Maxi clips - you have seen these above, but I cannot get over them. I will take these designs over those godawful traditional clips any day! Every claim the Linziclip makes is true! From the time I received these, I have been using just Linziclips and have discarded the pile of old butterfly clips I had. 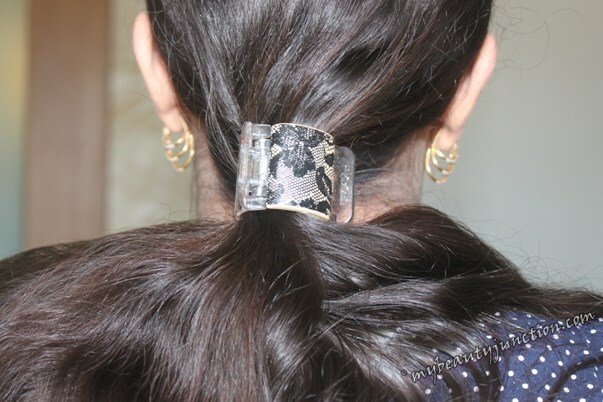 These are incredibly user-friendly and kind to the hair and allow me to lean back. More importantly, my hair has never got caught in the teeth or springs or screws or anywhere, and removing the clips is a breeze. I love the designs, and have some beautiful yet subtle enough patterns. They are quite durable - having dropped two of them on concrete, I can vouch for that. When I drop the older butterfly clips, it ends up losing a tooth/claw or two. 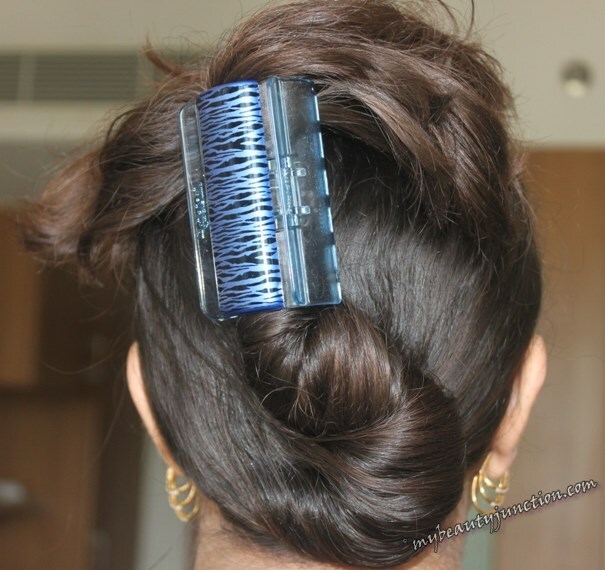 You need the Maxi version to put up your hair in a twist. I don't do fancy updos or buns; this is purely work-friendly. Please put up with looking at my damaged, frizzy and un-blow-dried hair. You need the Midi version for ponytails, fancy updos and for half-up, half-down hairstyles (Tutorial coming up soon!). To be honest, the Midi version does not give me great ponytails, as the claws don't go all the way around my hair so half my hair remains unclipped. You can see the clip is at an angle. But regular clips have the same problem and I use the Invisibobble, reviewed here, or good old scrunchies for ponytails anyway. 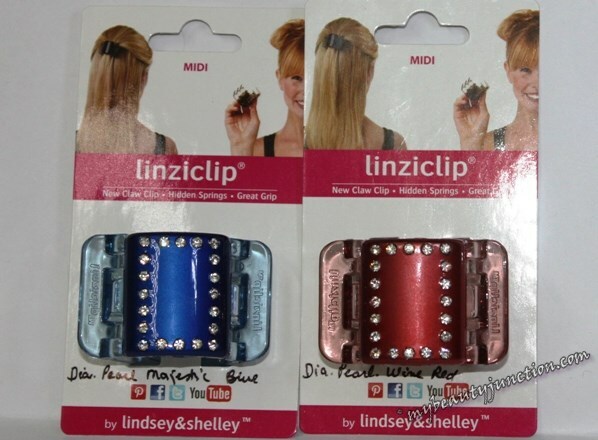 I use the Midi Linziclip for half-up, half-down and high ponytail styles. You need the Mini version for clipping up bits of your hair, or if you fancy using multiple clips. If I had to nitpick an issue with the Linziclips, I wish they were accessible on Feelunique or Lookfantastic - I do a tonne of shopping there and it would be nice if these sold on both UK-based websites that ship worldwide. As of now, I can only find Fishpond that ships worldwide, apart from the usual suspects, eBay and Amazon. Apart from leading pharmaceutical stores and supermarkets in several countries, you get Linziclips online, at Drugstore.com, Priceline Australia, Glitz4Girls and Fishpond (ships worldwide). Linshell sells on eBay here and, yes, they ship worldwide. They also sell on Amazon here and ship worldwide. As the Linshell group is rapidly expanding, look out for the clips in a supermarket near you soon! Prices vary worldwide and start at €3.50, which is not a bad deal for something this good and durable. Best of all, the Linshell Group is giving away a generous set of Linziclips each to three of my blog's readers, who can choose from Summer and Winter styles and sizes. The giveaway goes live on My Beauty Junction from November 1 and runs for a month, so do tune in the day after tomorrow! Before you go, do take a look at some more Linziclip eye candy! Disclosure: This is not a sponsored post. All watermarked photographs are owned and taken by me. Photographs without My Beauty Junction's watermark are press pictures published unedited after permission was received from The Linshell Group and their partners. Samples shown in the watermarked photographs were sent for review. The opinions are my own.